Jim's Mowing Mornington PeninsulaBlogGardeningPreparing the Yard for Xmas Festivities? Preparing the Yard for Xmas Festivities? Ahhh Christmas… every gardener looks forward to this time of year, where hopefully, the hotter days haven’t had too much of an effect on the greens and we’re looking forward to having guests and family enjoy the outdoors on this highly anticipated day. 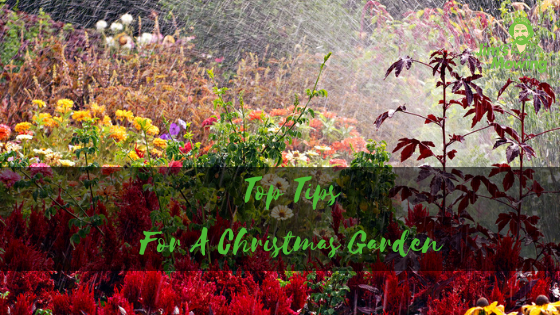 A little early prep goes a long way when it comes to ensuring a great looking garden over Christmas- while we wish it was as simple as mowing the lawn and stringing up some decorations, These five tips will help you make sure your garden is in amazing condition for the silly season! A good boost at this time of year can do amazing things for a garden you want looking great around the end of the year. Liquid Plant feeder can be purchased in a bulk pack and up to 2 liters will service most medium sized gardens. Many of these feeds can be used on the entire garden too, so you don’t need to worry about which plants need it and those that don’t! Now is definitely the time to start thinking about moisture depletion in the garden- plus mulch really tidies things up and creates a manicured look that lasts weeks. Don’t forget to weed well first before putting your mulch down. It only takes a three-day heatwave to really knock your less established plants around, so invest in a good quality mulch (we recommend one with a soil wetting agent that encourages slow release) and make sure your grass clippings go to good use. The nitrogen in lawn offcuts is a great feeder for lots of plants, so at least make sure you’re using it if nothing else! When was the last time you greened your lawn? If you’re wondering what on earth greening is, you’ll be glad to know it’s a great way to get that lush green growth happening without all the intensive labor you might have mistakenly associated it with. Deep watering (check moisture soak levels are at least 3 inches each time you finish watering) and a bottle of lawn greening food will work wonders on a garden you want looking great for Christmas. If you have bits and pieces lying around and want to get rid of them, it’s a fantastic time of year to have a clear out. A Jim’s Mowing professional can prune back your trees and tidy up the growth around your house, removing the offcuts at the same time as taking away any rubbish you want gone. What a great way to see in the new year with a refreshed and tidy yard! It really pays to get out there and put in some elbow grease for an undeniably good-looking results. If you can’t get out there and get things happening on you own, why not reach out to your local Jim’s Mowing professional and have us take on the hard work for you?